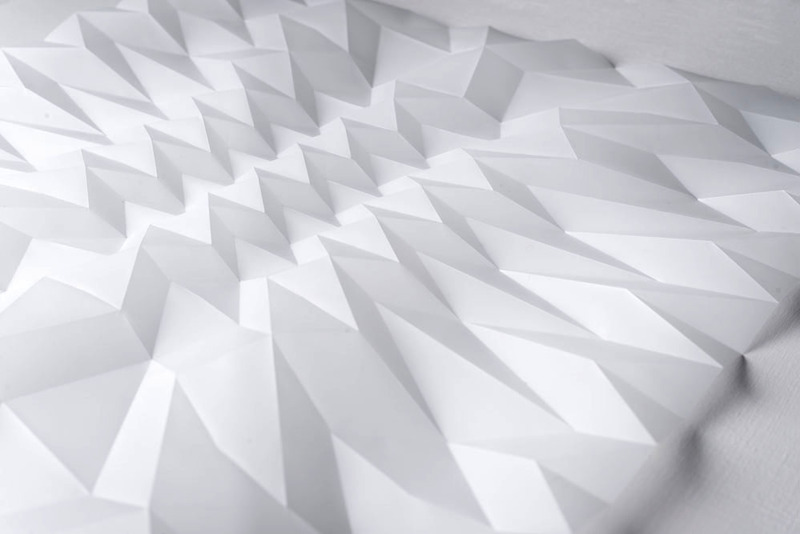 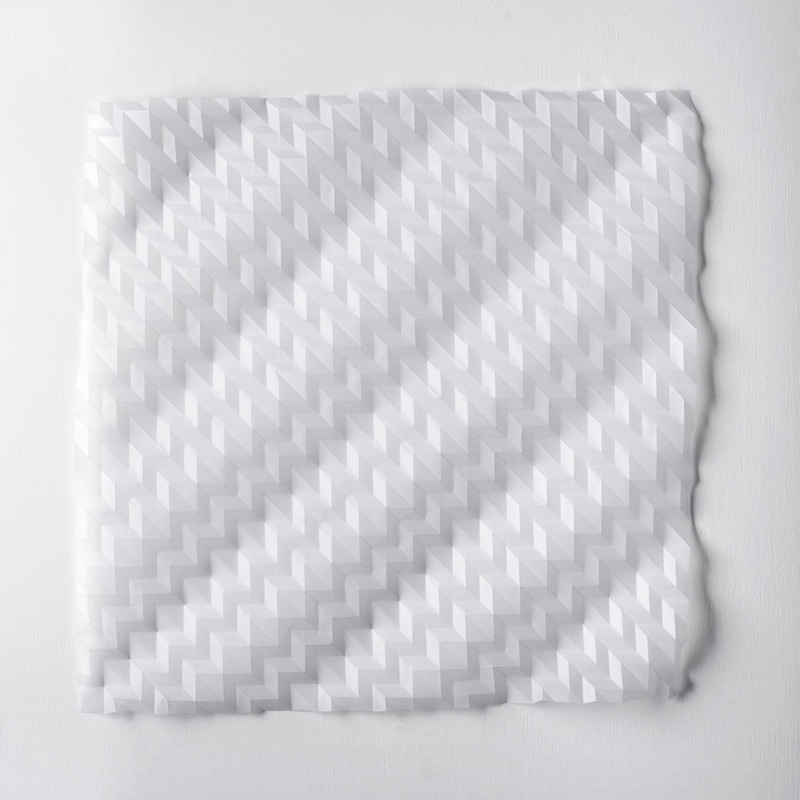 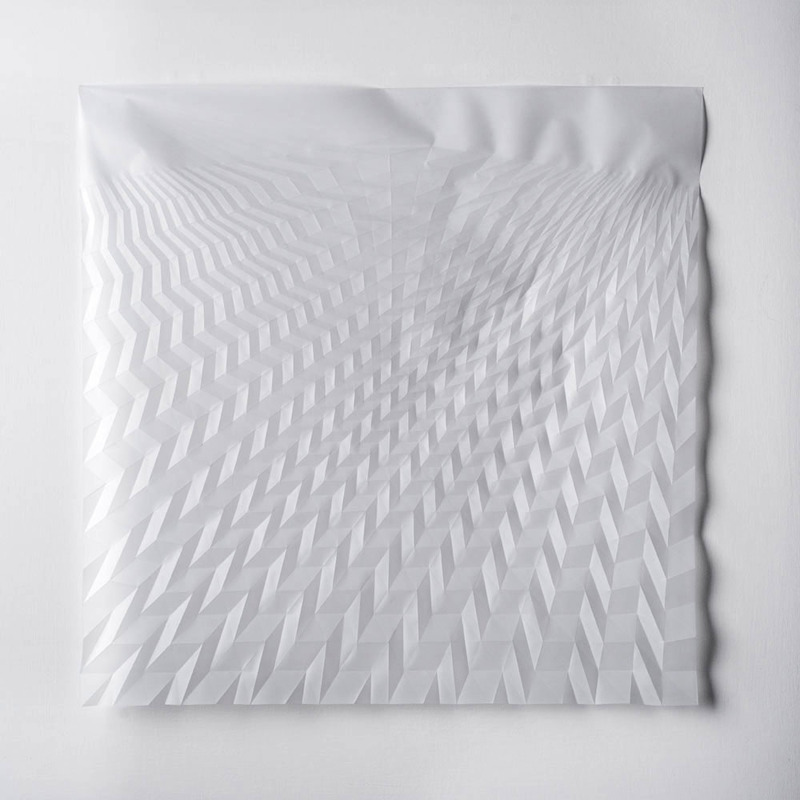 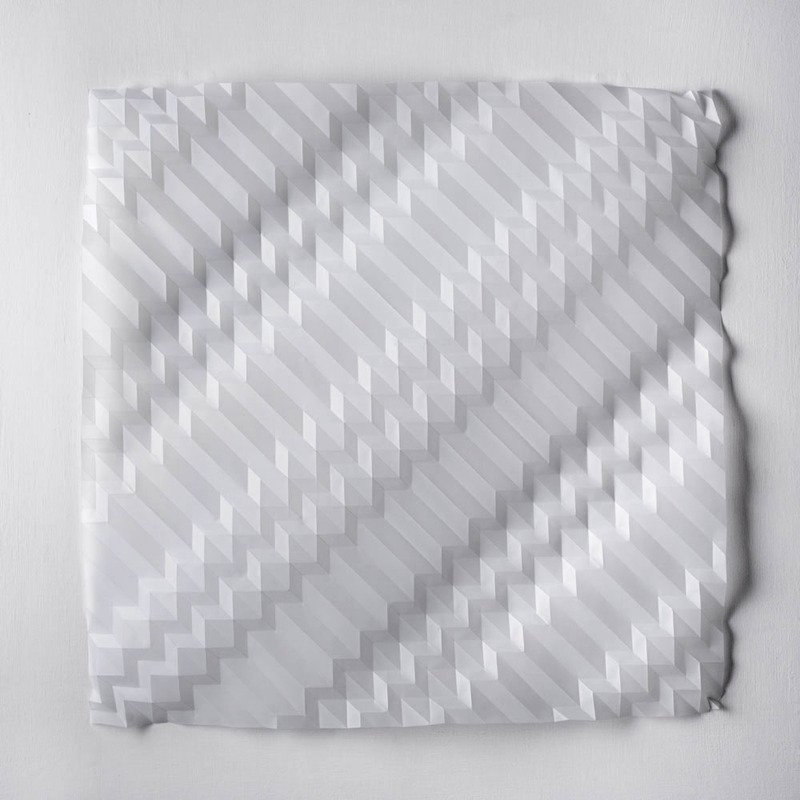 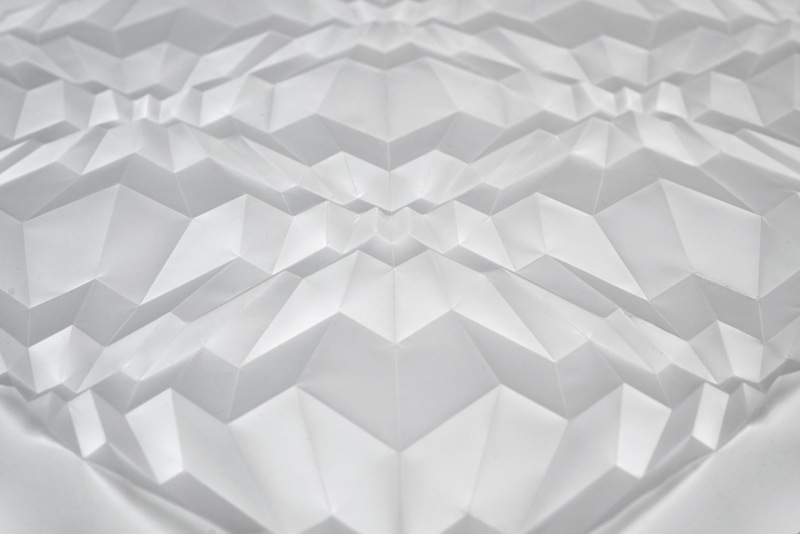 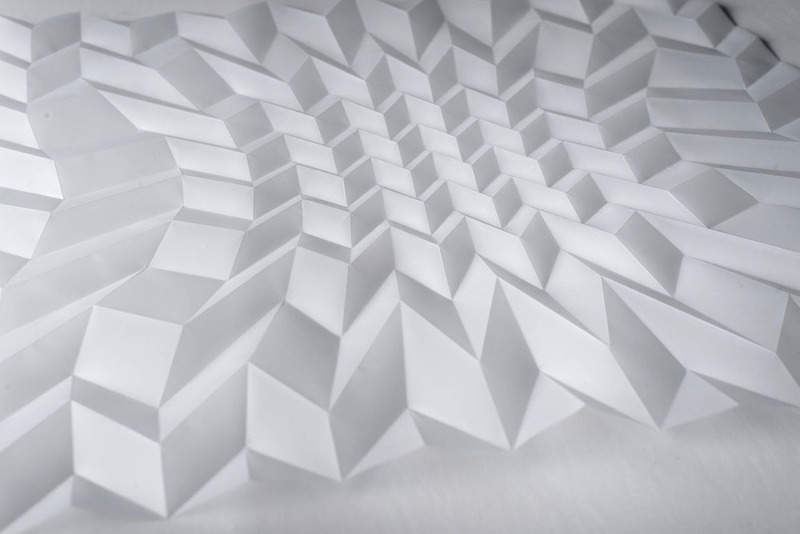 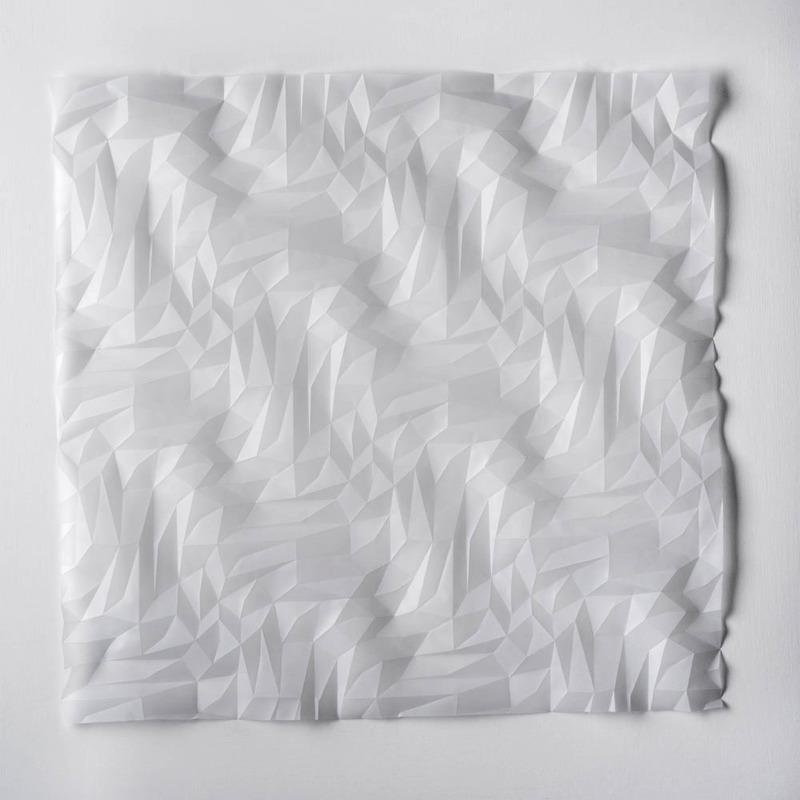 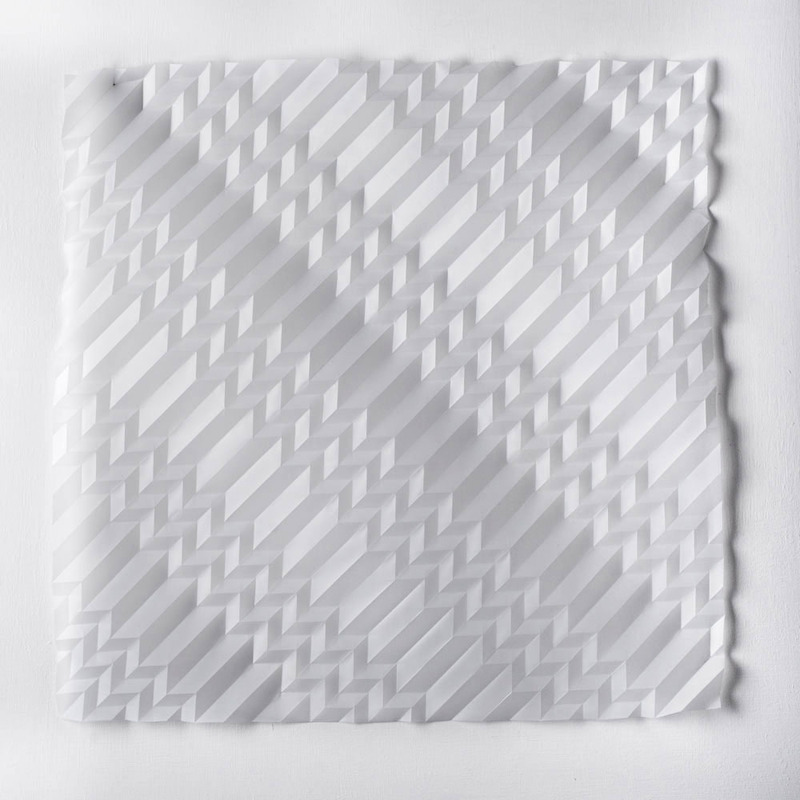 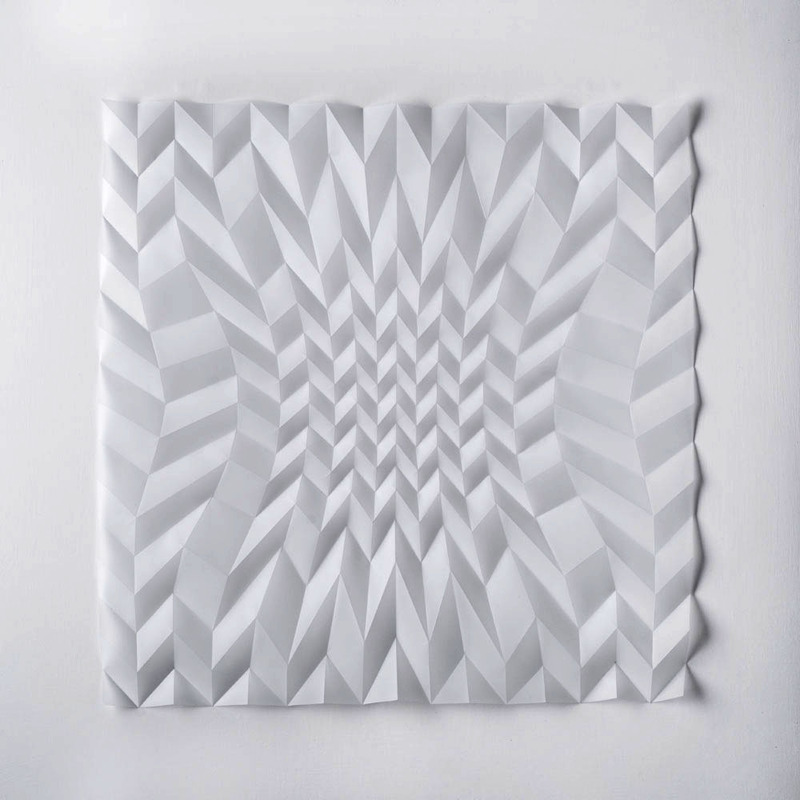 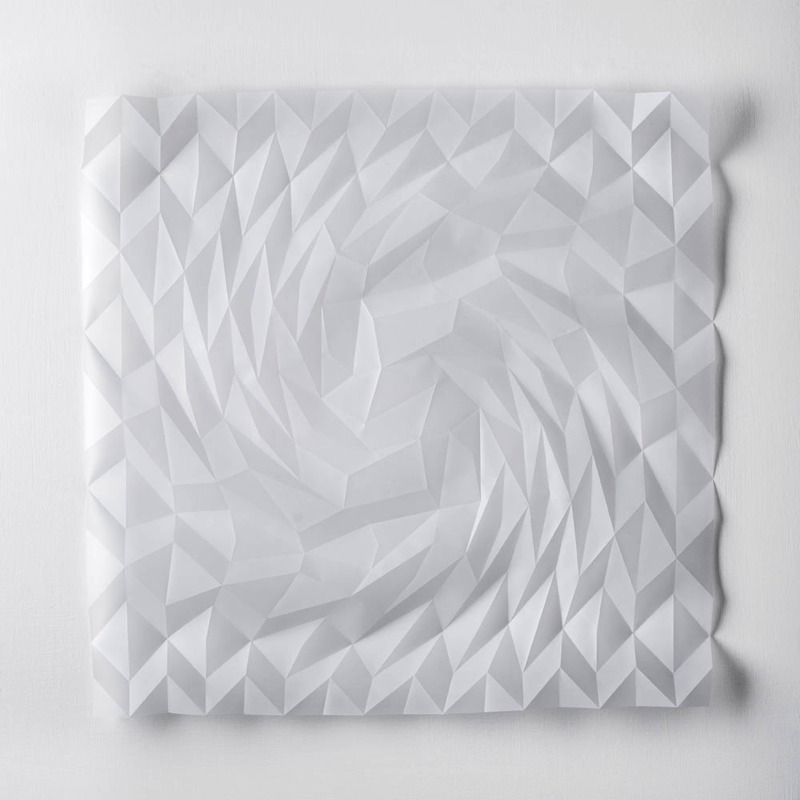 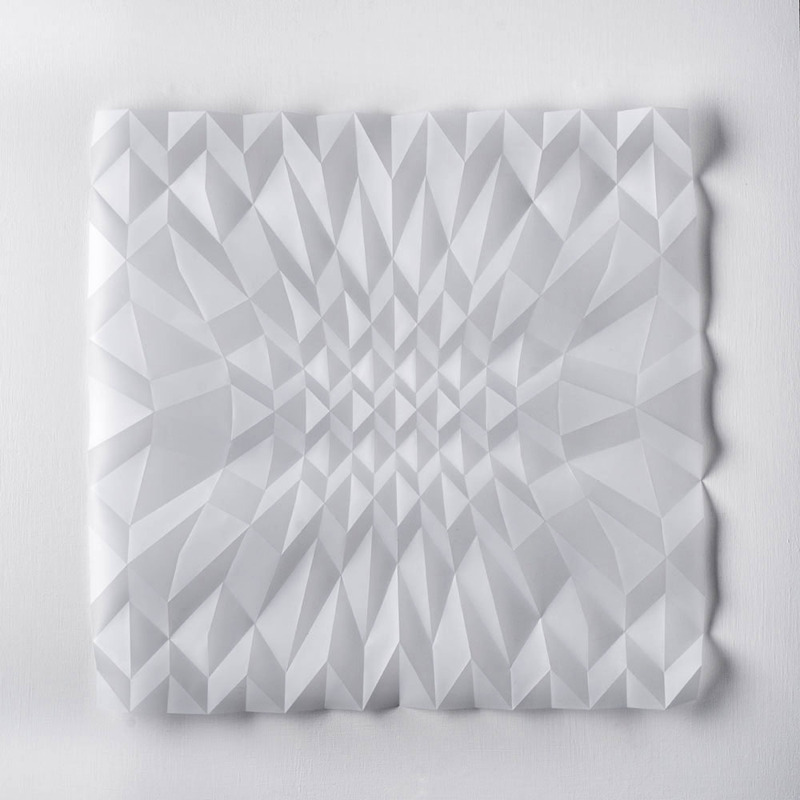 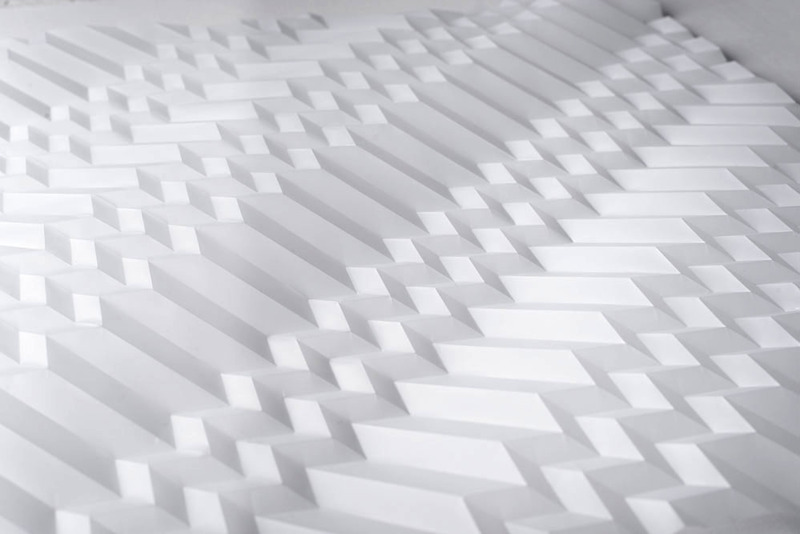 The Paperfold Experiments in Drawn and Folded Form investigates the creation of reliefs from a process of drawing and folding. 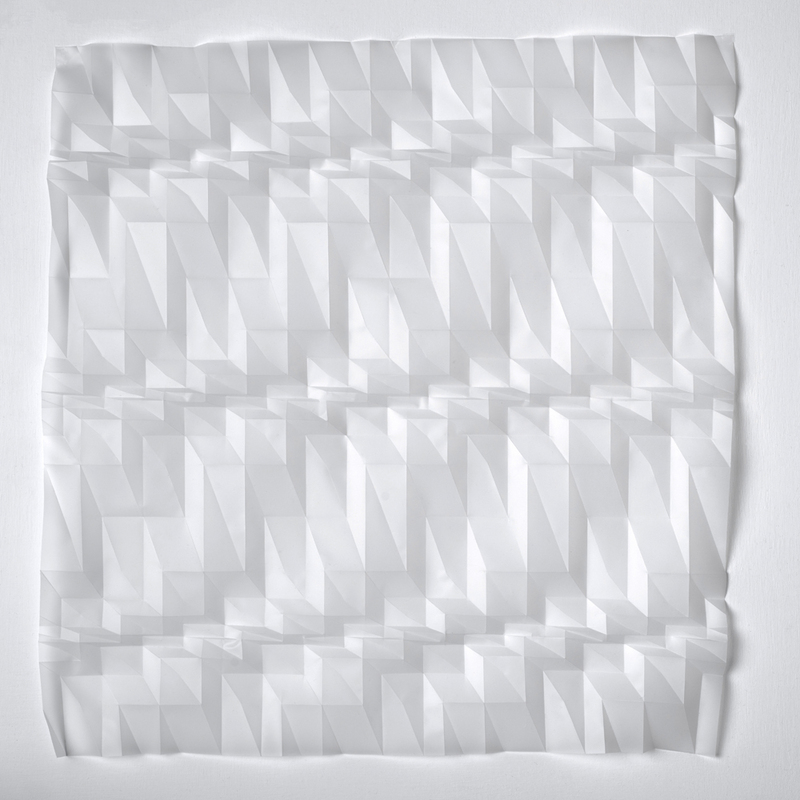 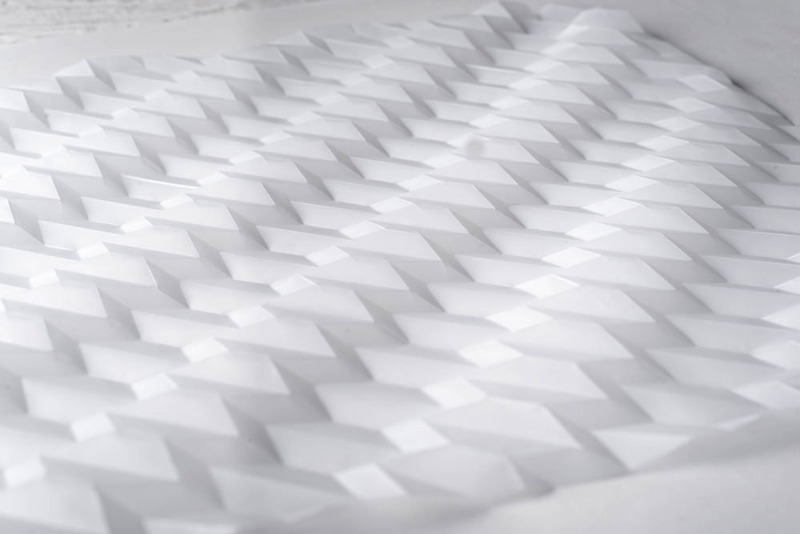 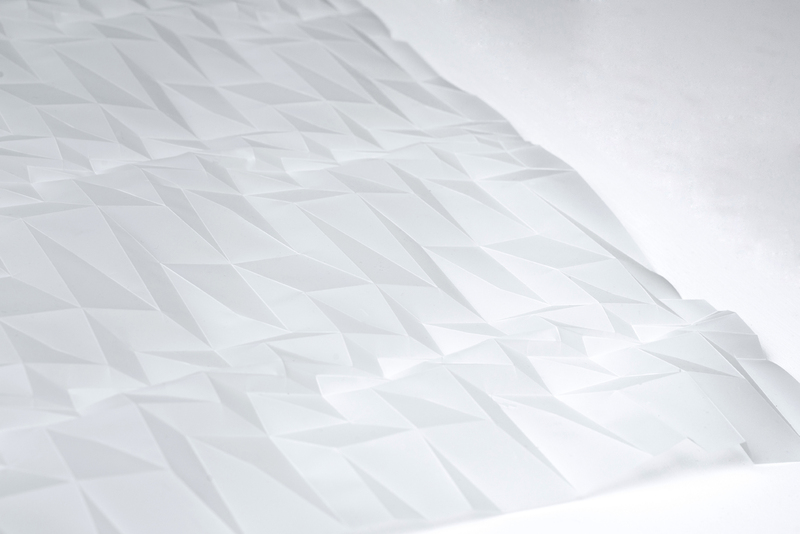 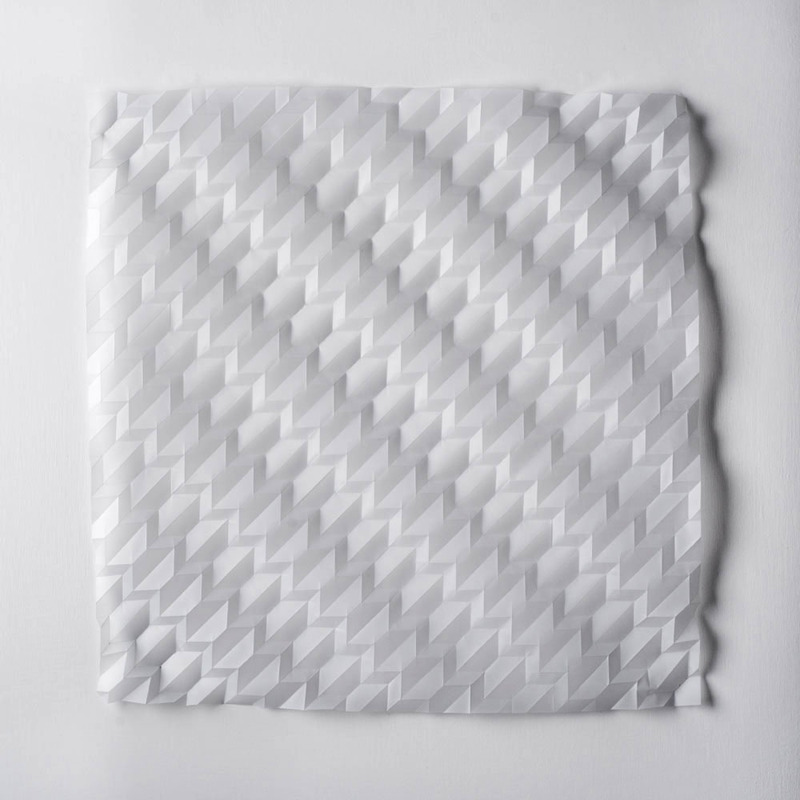 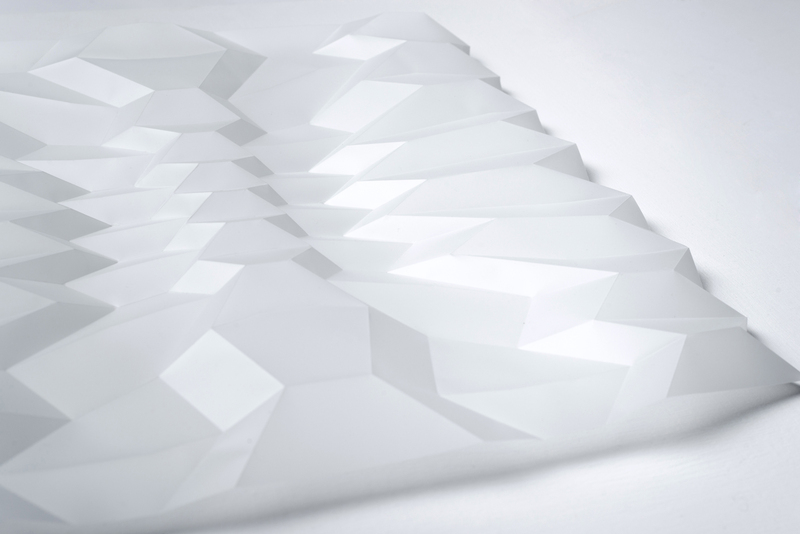 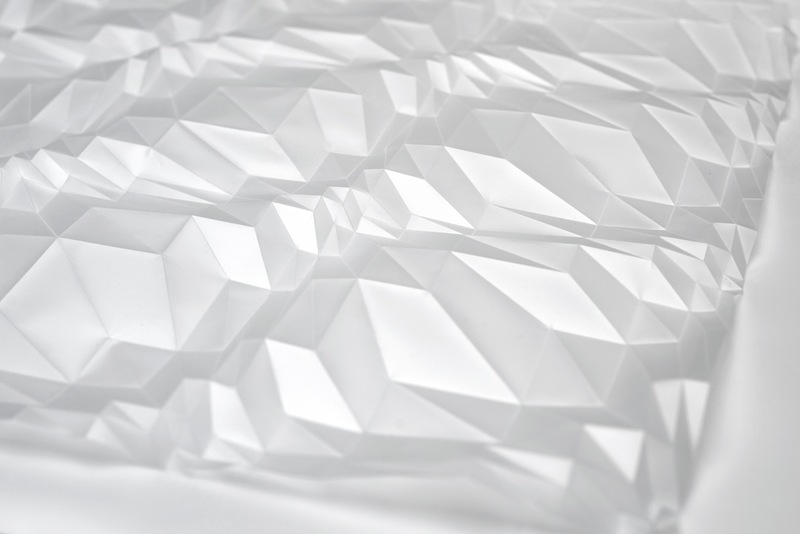 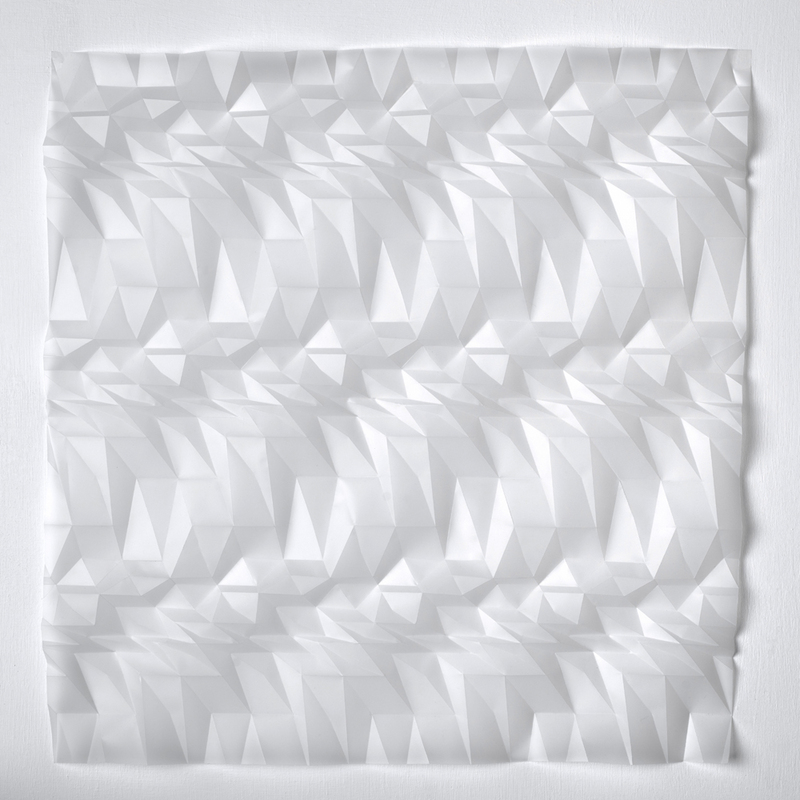 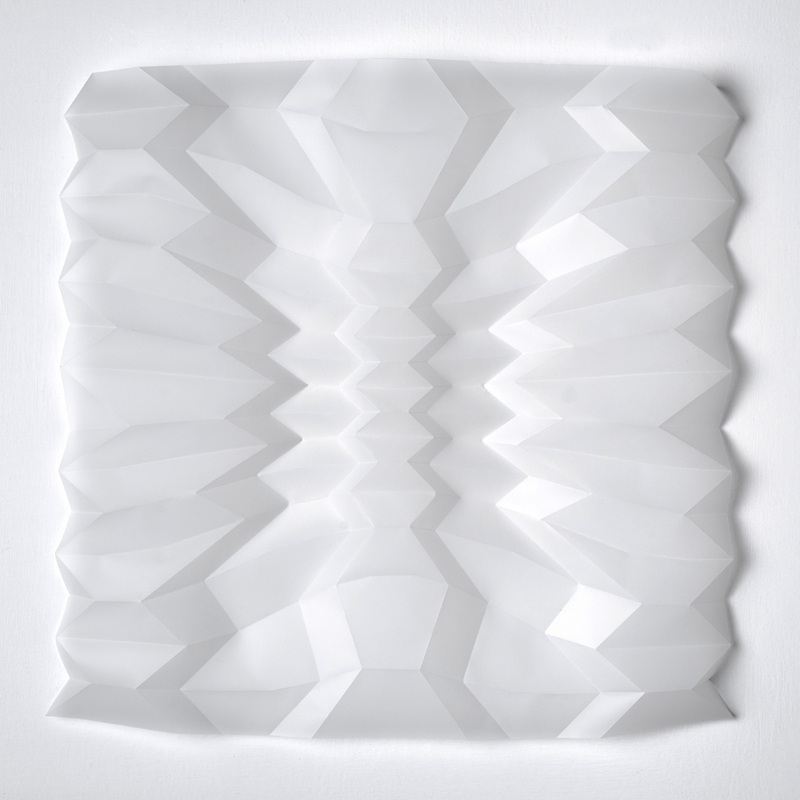 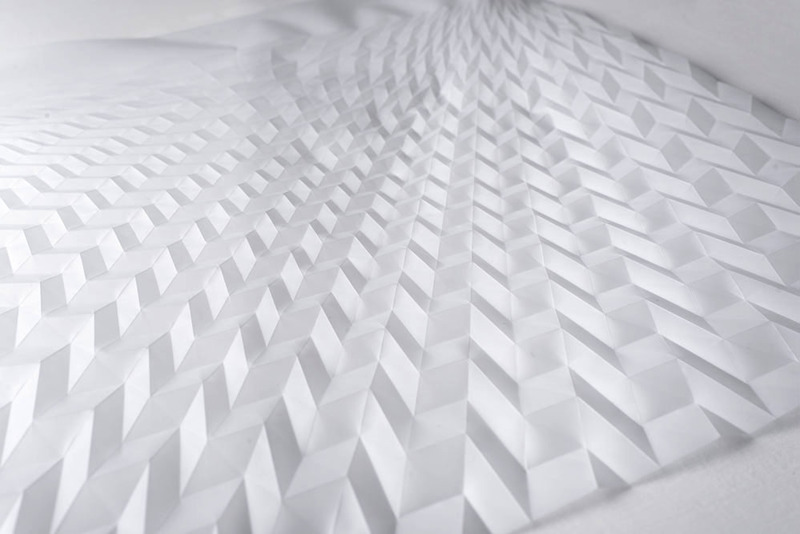 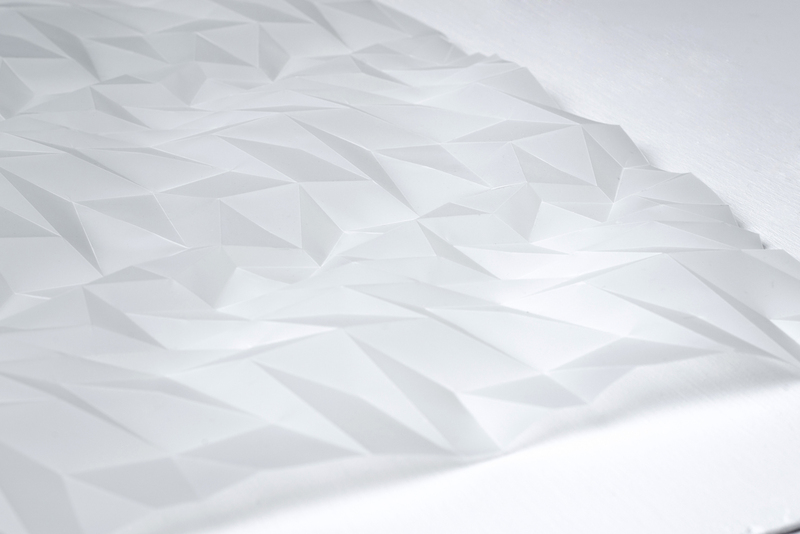 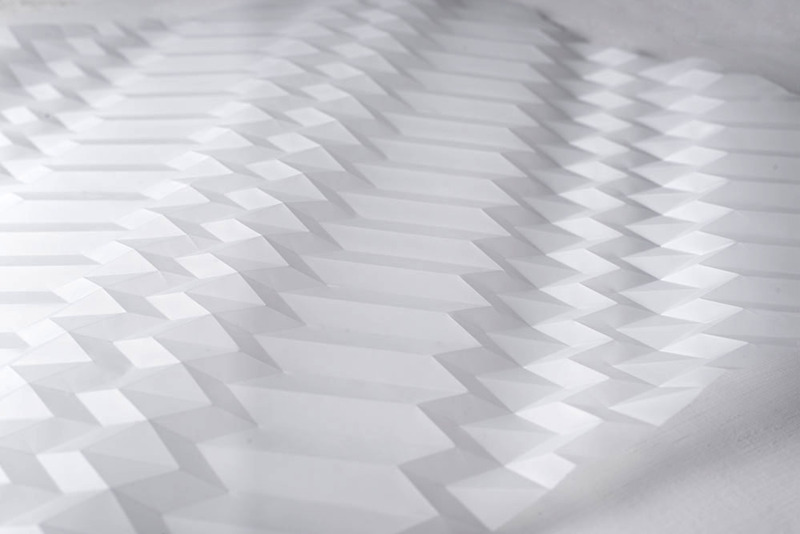 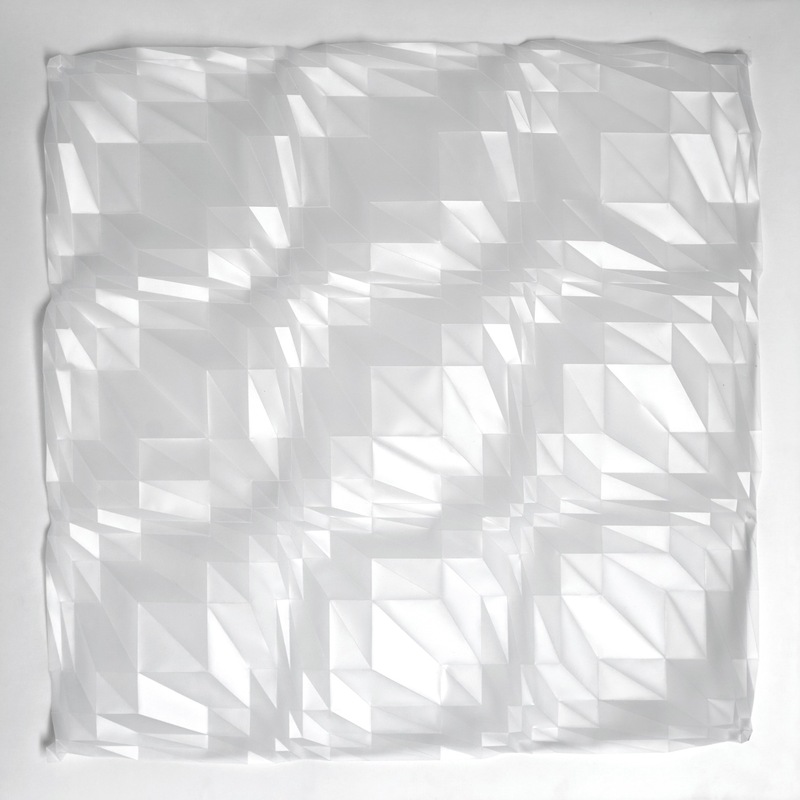 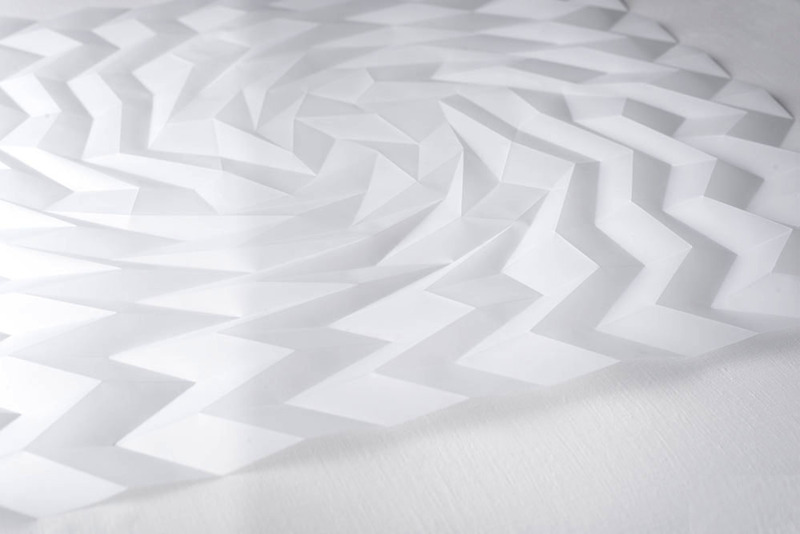 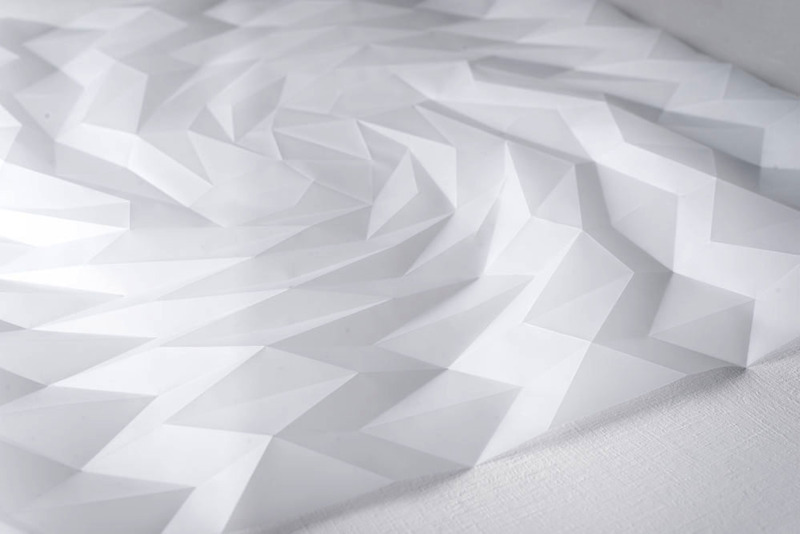 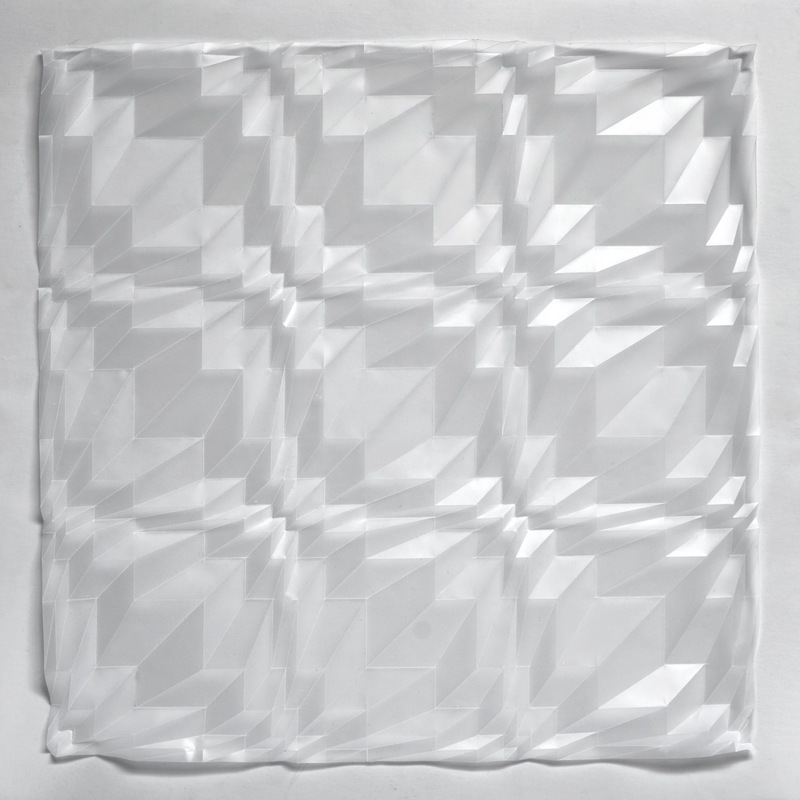 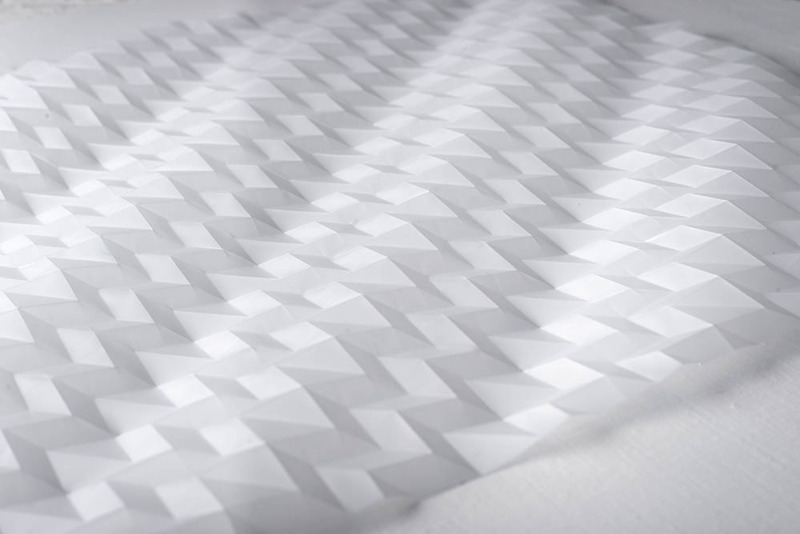 Using a single sheet of a polyester drafting film with a matte translucent surface, light is cast over the surface of each work to create illusions of triangles and parallelograms in differing shades of light that appear to shift in depth and shape. 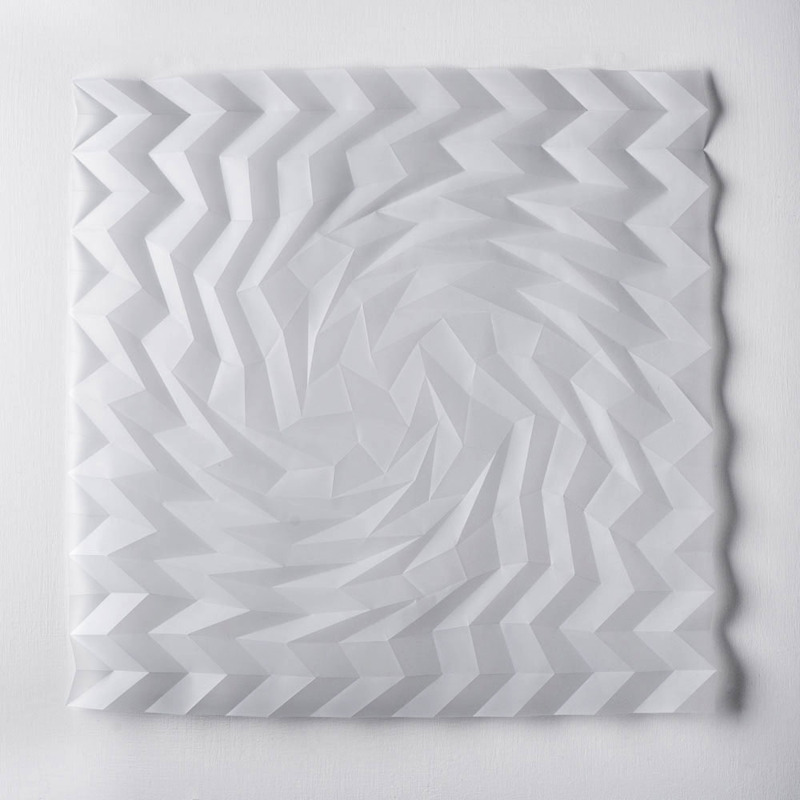 This illusion is exaggerated further with the movement of the viewer.